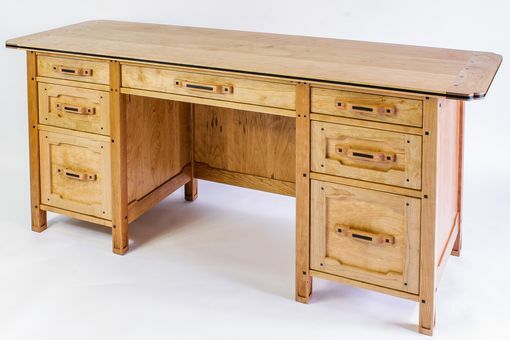 Based on my Greene and Greene 3 drawer desk I designed many years ago this is the larger 7 drawer that I now offer . This can be made o different woods such as Sapele and Ebony but is shown here in Cherry and Ebony with a hand rubbed oil finish. Also the bottom 2 drawers can be made as just drawers or can be file drawers.